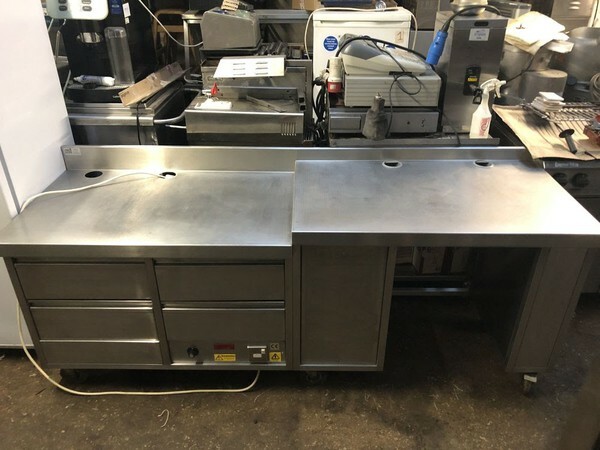 Based in Sheffield, we have over 30 years experience in the catering equipment industry so we are perfectly placed to offer you great deals on all types of new and second hand catering equipment. 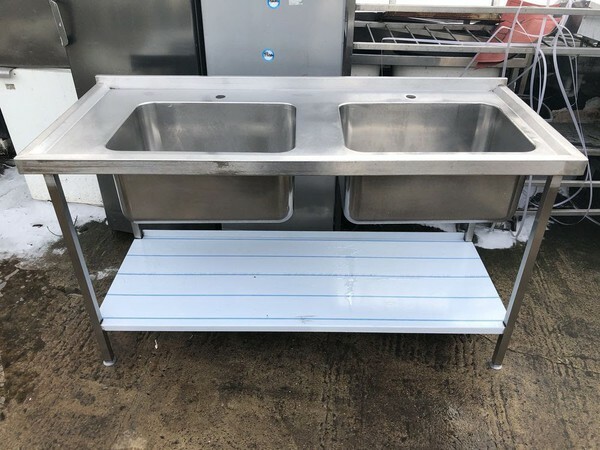 We can also design and give advice on commercial kitchens as well as bespoke wall cladding, ventilation systems, freezer rooms and cold rooms. 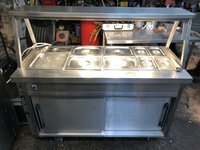 We always endeavour to fulfil any customers wishes so please do not hesitate to get in touch. 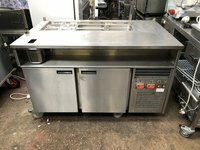 If you do not see anything that suits your needs, please contact us anyway as a large proportion of our catering equipment is not online. 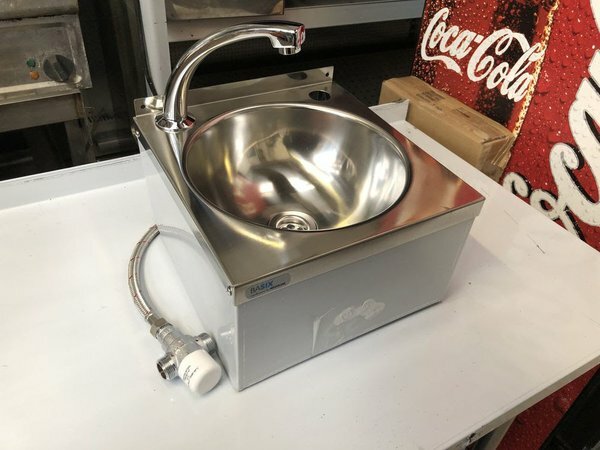 Designed to fit under a work bench or sink, this machine offers high quality, high capacity glass/dish washing from a compact unit. 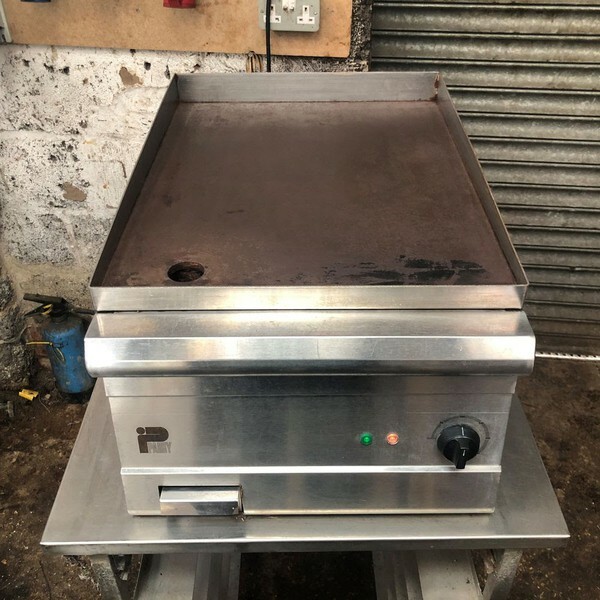 Very good condition electric griddle from very popular British manufacturer. Perfect for burgers, bacon, sausages anything! 6 x 4.5lt pots can hold up to 27lt of product! 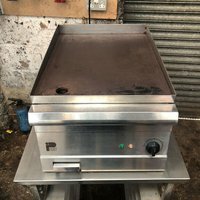 Ideal for any busy street food seller, fish and chip shop or takeaway. 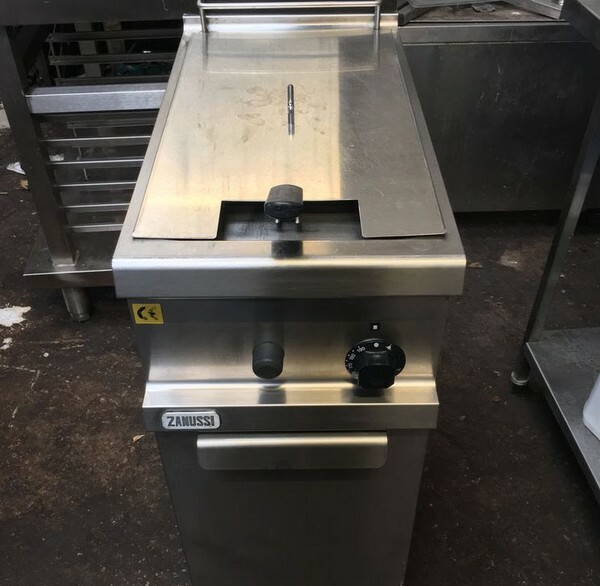 Wet heat gives perfect conditions for holding sauces, gravy and pre cooked foods at safe temperatures without product drying out as can happen in dry heat bain maries. 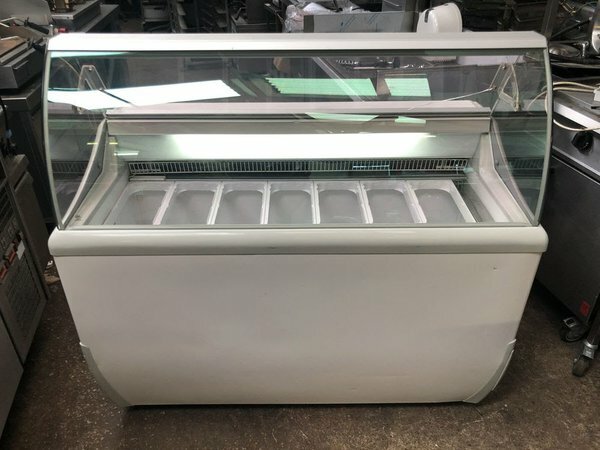 Very good condition Ice cream freezer from Italian Manufacturer. 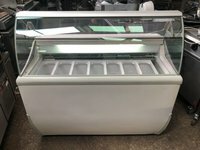 Freezer can display 7x 5lt Napoli pans with enough storage for another 12. 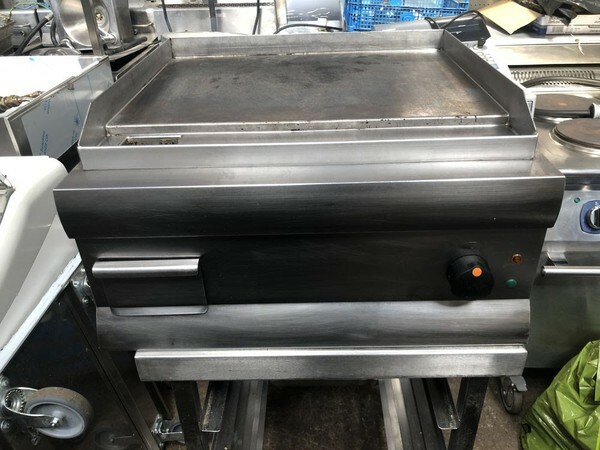 Very good condition flat top griddle from top British manufacturer. Excellent condition twin basket gas fryer from top British manufacturer. New model costs in excess of £6,000!!!! 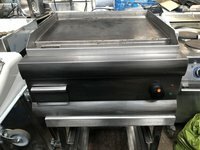 Super quick, super efficient fryer making use of advanced heat recovery and heat transfer technology as well as pre mix gas burner. 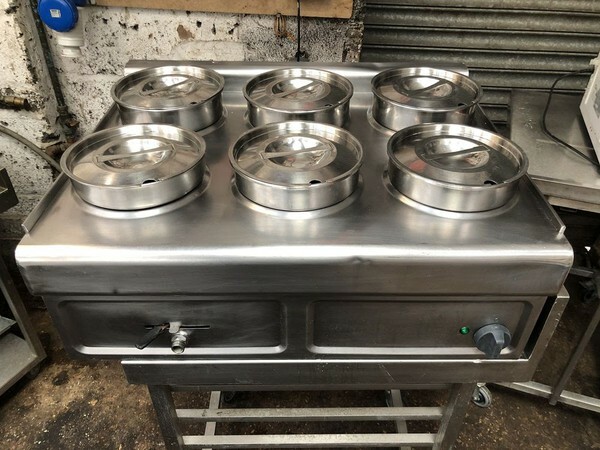 Fryer also comes complete with pump and filtration system, designed to increase the life of your oil as well as improve safety, oil can be filtered and ready to be re-used in less than 5 minutes. Excellent condition, fully serviced, espresso machine from top Italian Manufacturer. Fiorenzato are one of Italy's most celebrated coffee machine manufacturers since 1936. 2 groups, both with programmable touch pad controls. 2x group handles, 1 single and one double. 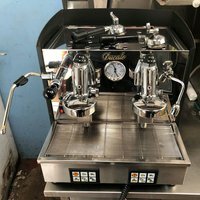 Multi-directional Steam wand and hot water spout, double pressure gauge showing boiler and pump pressures. 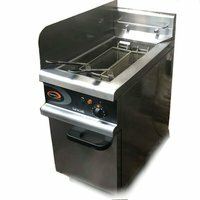 Excellent condition, natural gas fryer from popular manufacturer. including the 2x 7kW burners. Piezo Spark ignition and thermostat located on the front for easy lighting. Excellent condition triple bowl stainless steel, commercial sink unit. and 1x 260mm diameter handwash bowl complete with basin taps. Saladette top consists of 3x 2/3 gastronorm sized openings which can take either 6x 1/6 sized containers, 2x 1/3 containers or 1x 2/3 sized container as you can see from the images. 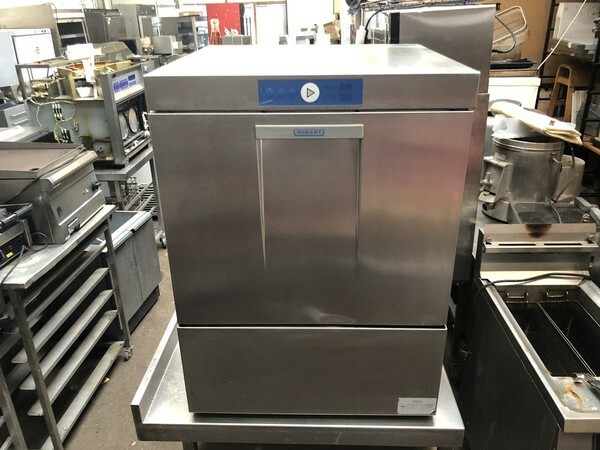 Giving the user excellent storage options with the ability to do both large containers for more frequently used ingredients with more smaller containers for a variety of less used ingredients. Excellent condition, Fully stainless steel prep counter with heated drawers below. 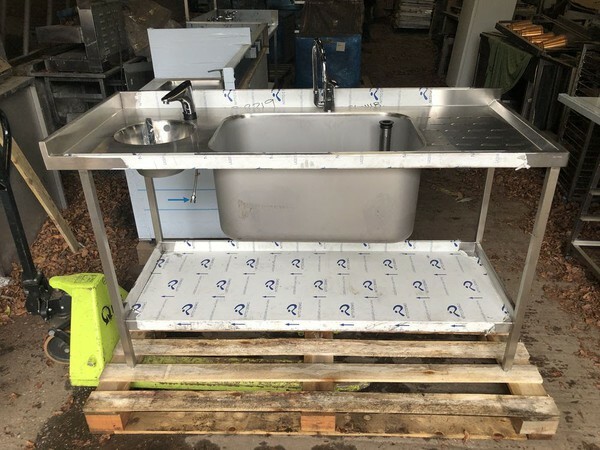 Heavy Duty stainless steel construction by top UK manufacturer Scobie Mcintosh. On braked casters for easy movement around kitchen. 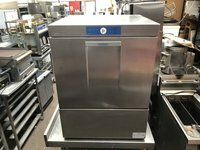 Brand new, never been used, still in plastic wrapping. 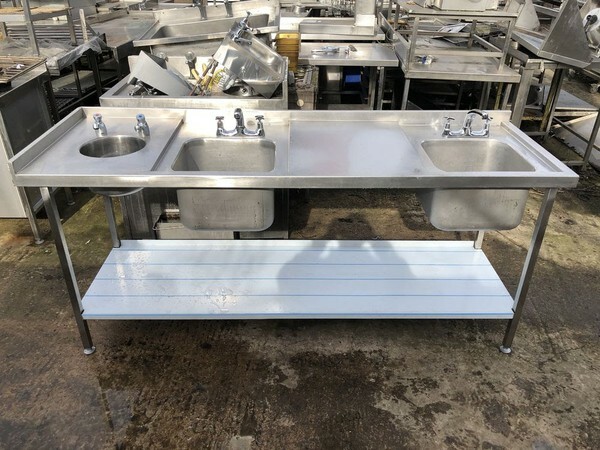 300mm diameter handwash basin to left hand side, complete with brand new waste and plug fittings, including brand new, Grohe infrared controlled mixer tap, complete with thermostatic mixer valve. 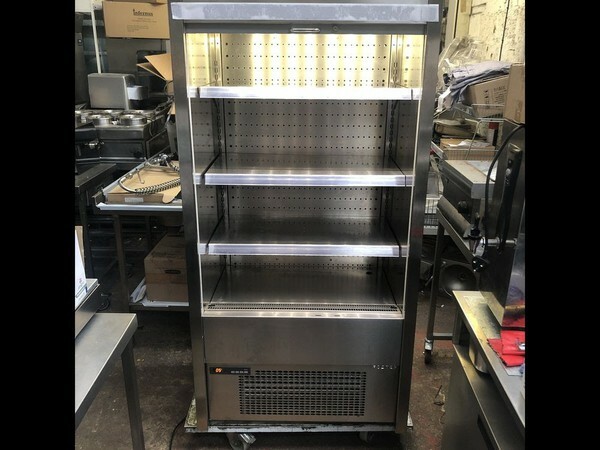 Excellent condition, 375 litres compact stainless steel multideck display chiller. Complete with lockable, solid, night blind. 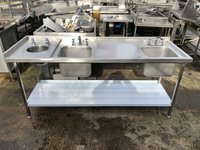 On small casters for easy movement for cleaning. Excellent condition, stainless steel racking. 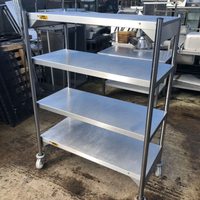 Solid stainless steel shelves give excellent, level storage. Great for cold room/freezer room storage, dry goods storage, plates, glasses anything! 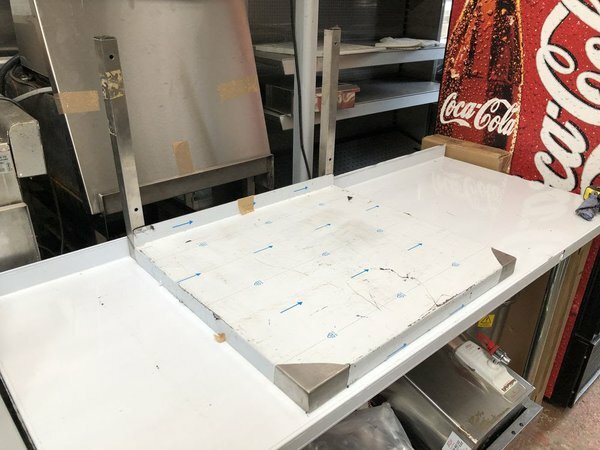 Brand new commercial microwave shelf, still in plastic wrappings, complete with heavy duty brackets. Increase your kitchen work surface by raising your microwave above it! 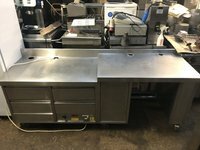 Will fit most commercial microwaves and once fitted properly will take the weight of any commercial microwave. Wetwell bain marie top takes a total of 4x 1/1 gastronorm trays which can be split in to many different layouts as can be seen in the picture. 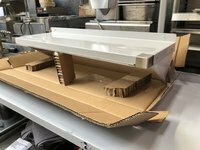 Comes complete with stainless steel brackets and all fixings required to fit shelf to brackets and brackets to wall. 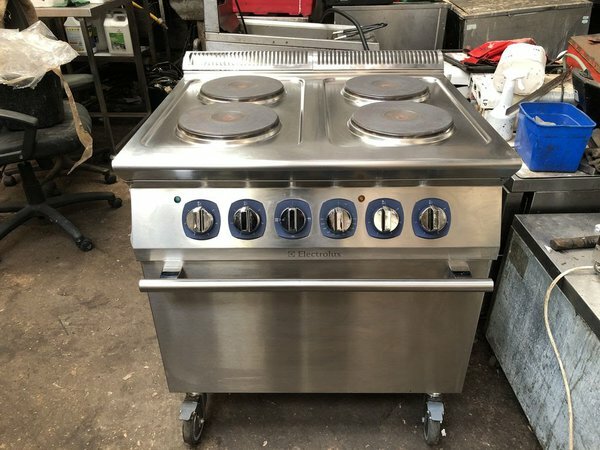 4x heavy duty 2.6kW plates with 6kW static oven including top and bottom oven elements allowing for grilling as well as baking.